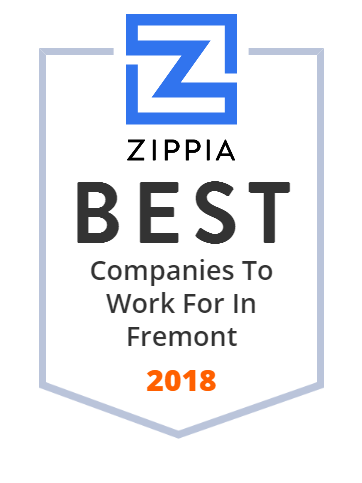 We hand-curated a list of the best companies to work for headquartered in and around Fremont, CA using data on salaries, company financial health, and employee diversity. TDI enables new applications in semiconductors, consumer electronic devices including displays, and biomedical devices. Through the implementation of its advanced manufacturing technology of nanostructures, combined with innovative designs that utilize the basic capabilities of the manufacturing technology with unique materials, TDI produces novel nanostructured devices. In addition to developing full nanopatterning solutions, TDI coordinates and develops the complementary processing steps to complete the manufacture of the final devices for evaluation prior to high volume manufacturing, which is performed in conjunction with partners. Lyncean Technologies manufactures the Lyncean Compact Light Source (CLS), a miniature synchrotron x-ray source powering advanced x-ray applications. CLS is designed to be operated directly by academic or industrial end-users. The company aims is to extend the value of synchrotron light sources. Lyncean's newest development is a novel EUV source designed for high volume manufacturing semiconductor lithography. Lyncean Technologies, Inc. was established in 2001 and is based in Fremont, CA. Everyone at EFI is relentlessly focused on just one thing: the growth and success of their customer's print business. That's why tens of millions of print professionals worldwide turn to EFI to fuel their success. This company proves its commitment to their customers every day by developing breakthrough technologies for the manufacturing of signage, packaging, textiles, ceramic tiles, and personalized documents, with a wide range of printers, inks, digital front ends, and more. SimpleTherapy offers video-based, head-to-toe exercise therapy programs that target the joint, muscle, tendon, and/or ligament - an affordable, at-home alternative to traditional physical therapy. SimpleTherapy serves people that suffer from chronic pain and don't have enough physical therapy due to a lack of insurance, time, or money. The company has a mission to help people live in a pain-free world. Founded in 2011 and based in Fremont, CA. Opened in 1958, Washington Hospital Healthcare System has grown to include a 341-bed, acute-care hospital; the Taylor McAdam Bell Neuroscience Institute; The Gamma Knife(r) Center; Washington Radiation Oncology Center; Washington Outpatient Surgery Center; and more. They also offer programs like advanced Heart Failure Clinic, Cancer Care Center, cancer programs, cerebrovascular neurosurgery program, and more. Quark Pharmaceuticals, Inc. is a late clinical-stage pharmaceutical company, a leader in the discovery and development of novel RNAi-based therapeutics for unmet medical needs. This innovative company is vertically integrated from gene discovery to novel therapeutics. Assuring its broad pipeline of clinical and preclinical product candidates is the internally developed technology, which includes Quark's RNAi platform technology its delivery to a host of organs. Quark products and technology have freedom to operate in the nucleic acid intellectual property space. Based in Fremont, California, Purfresh, Inc. is a global provider of specialized controlled atmosphere systems, live data tracking and monitoring for cargo transported in refrigerated ocean containers, and international cold treatment assurance management. Purfresh, Inc.'s technology and products reduce the risk of high-value cargo loss, improves food safety, and helps ensure higher-quality arrivals for cargo shipped internationally in refrigerated ocean containers. Unigen Corporation is a leader in the design and manufacturing solutions of enterprise-grade flash storage, DRAM memory, and wireless communication modules. It supplies its products to the aerospace, automotive, communication, embedded, medical, military, enterprise and video surveillance industries. Established in 1991 and in the heart of Silicon Valley, Unigen's global manufacturing network is based in Newark, CA (USA) and Hanoi, Vietnam. Its global facilities are located in the USA, Vietnam, China, Hong Kong, Taiwan and Malaysia. Identiv, established in 1990, is a global provider of physical security and secure identification. Identiv's access and identification solutions are used by clients from the government, enterprise, consumer, education, healthcare, and transportation sectors. Its team of over 220 employees secure places, people, data, and objects. Headquarted in Fremont, CA, Identiv serves over 5000 customers worldwide and has over 400 partners. Acura of Fremont in Fremont, CA offers new and used Acura cars, trucks, and SUVs to our customers near San Jose. Visit us for sales, financing, service, and parts!